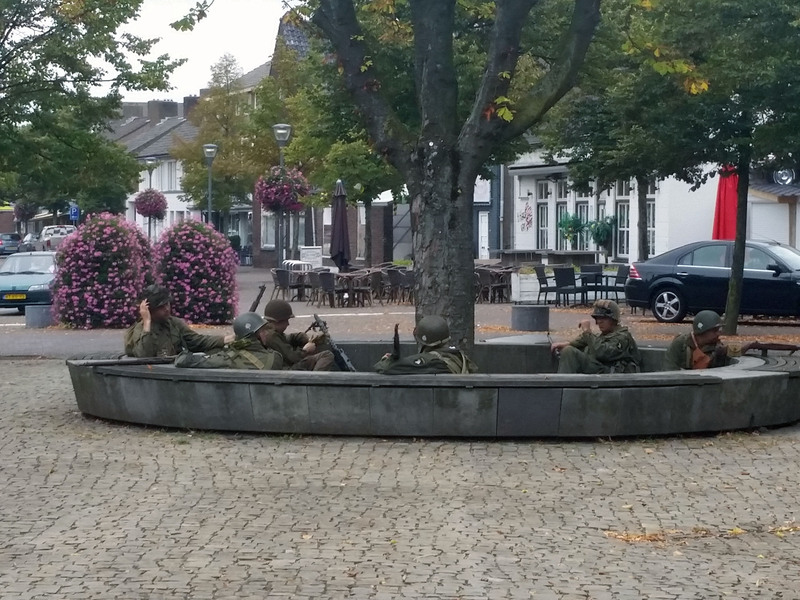 This weekend I went to Son, Netherlands, to watch my fiancé participate in his 101st Airborne re-enactment group for the anniversary of Operation Market Garden. This was the first time I had seen him participate and I wasn’t sure what to expect. I had never been to a re-enactment in the U.S. and while I had seen photos of my fiancé’s group, being there live and in person, was a whole different experience. On Friday 16 September, his group plus several others set up a WWII Airborne Combat Camp on the edge of the town of Son, a short walk from the old Town Hall and main street, where fighting took place. By the time we arrived, several tents, vehicles, and a lot of equipment had been set up on the grounds. 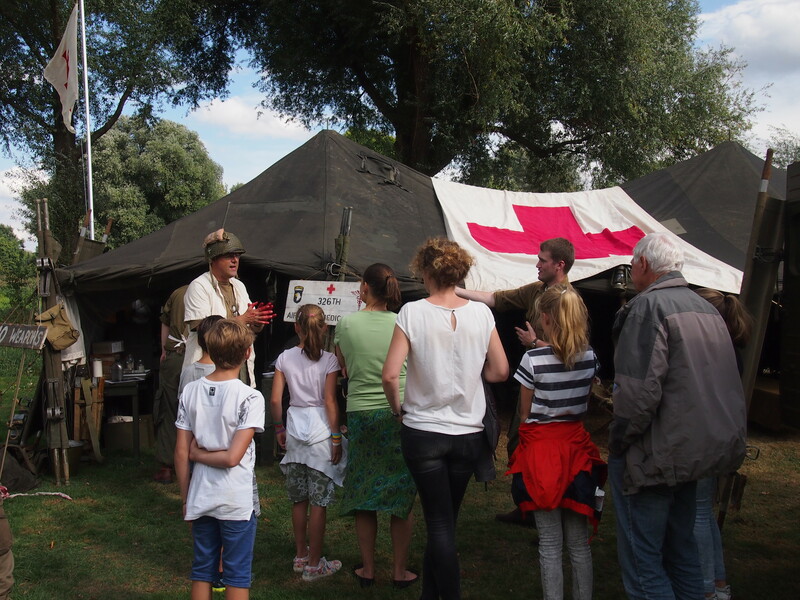 The idea was to show visitors and school c hildren, what a camp, Aid Station, Field Hospital, vehicles, guns, and life was like during this time in September 1944. Several school groups came through the camp Friday afternoon to visit. Each child received a booklet with questions to answer. The kids had to go from tent to tent, talking to the soldiers and asking questions. Maybe the “best” question was in the medic’s area. Children had to ask about the “miracle medicine.” When they did, they received some of this medicine – a chocolate bar. On Saturday 17 September, mo st of the re-enactors were there by early morning. After breakfast I walked through town and saw men arriving at the bridge, which the Germans blew up. A lot of fighting took place there. Walking down the main street it was common to spot Airborne troopers walking in small groups on patrol, jeeps and other vehicles riding on the roads, even the ambulance was picking up the wounded. No battles were fought and no blank ammunition fired, as that was not allowed, but each group designated one person to be the wounded man so he could be picked up and taken to the field hospital where a nurse and surgeon were waiting. Near the Old Town Hall, I almost walked past a group of soldiers sitting in a circle “dug into” the group. 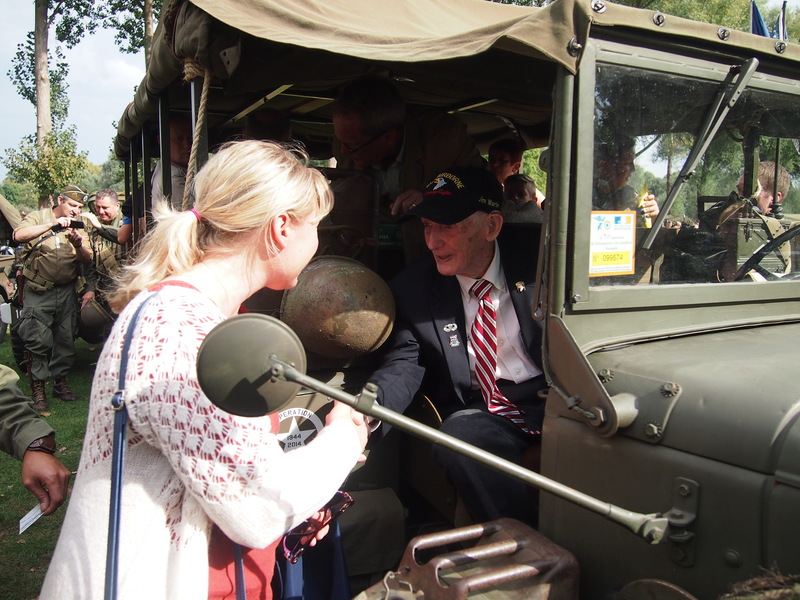 While the men were doing their thing on Saturday, a couple of the wives of my fiancé’s re-enactor friends, took me for a ride in a WWII jeep around Son and Best, to see WWII sites. I saw the Temporary American Cemetery at Son, which after the war, when the graves were disinterred, became a corn field again. I saw the Joe Mann Memorial. Joe was awarded the Medal of Honor for saving the lives of several men. Mann was wounded and when a grenade landed in his foxhole, he threw himself on top of it. Mann was killed, but his buddies survived. I also saw the Drop Zones and Glider Landing Areas, now corn fields for the most part. There are monuments at each site. It was quite an educational afternoon. What many Americans don’t know is …… Europeans honor the service of our American WWII soldiers not only by adopting their graves and showing their respects during the year, but also through re-enactment. I’ve spoken to many Americans about re-enactment, because in the U.S. we see a lot of Civil War and Revolutionary War re-enactment. I hear a lot of comments to the effect, ‘It’s a lot of old guys dressed up playing war.’ Yet, when we see re-enactment of people like Abraham Lincoln walking around Springfield, IL or colonists at Williamsburg, we see and classify that not as re-enactment, but living history. Jennifer meets Jim “Pee Wee” Martin at the camp. What if we changed our perspective? What would we see then? An opportunity to see, outside a museum, the uniforms and gear an Airborne soldier or medic carried. An opportunity to talk to the re-enactors and learn the history of the area, battle, or war. These men not only dress as an Airborne Trooper, but know the history of the unit the re-enact. Since they live in or near the areas where these battles were fought, they are excellent resources for boots on the ground knowledge. I tell people when I lecture, that these are the people you want to connect with in Europe if you plan to walk in your soldier’s footsteps. These are the people who know a lot about the battles and can show you places your soldier fought, and sometimes, died. When battles are re-enacted, you get to experience what it might have been like as a town was taken. Often the groups re-enact with American and German forces. 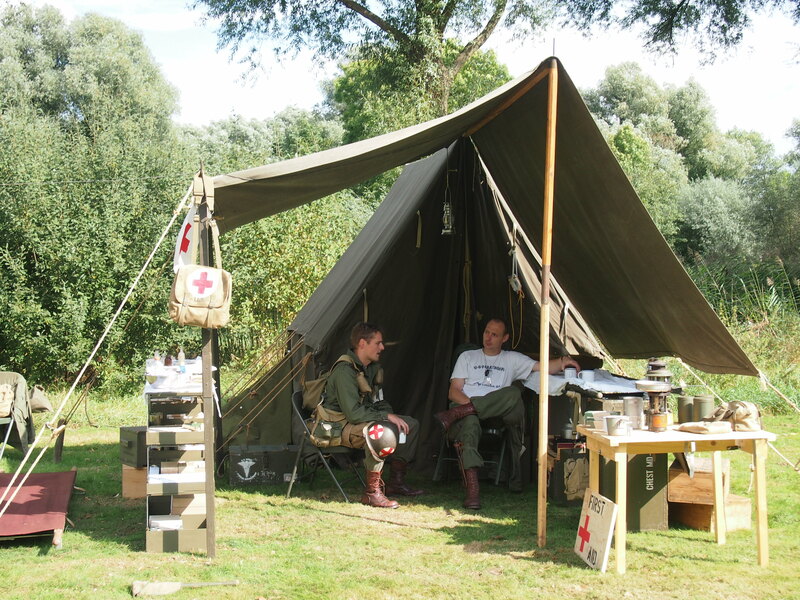 A chance to go back in time and sit and observe life in a combat camp or life during the war in a town. You might meet World War II veterans! During the major battle or campaign anniversaries, large groups of veterans and their families come to Europe to see where they fought, where their buddies died, and some are still buried. I had the honor of meeting Jim “Pee Wee” Martin Saturday, when his convoy of jeeps and trucks, pulled into the camp. American dignitaries, ambassadors, and active military personnel attend these events. You might connect with someone from the U.S. who can help move your research forward. Whatever you think you know about re-enacting, I ask you to reconsider your view and give it a try if you have the opportunity. You might meet interesting, knowledgeable people, and learn many things about your soldier’s service. Want to know more about Living History groups in Europe? Read the latest issues of Drop Zone Magazine. 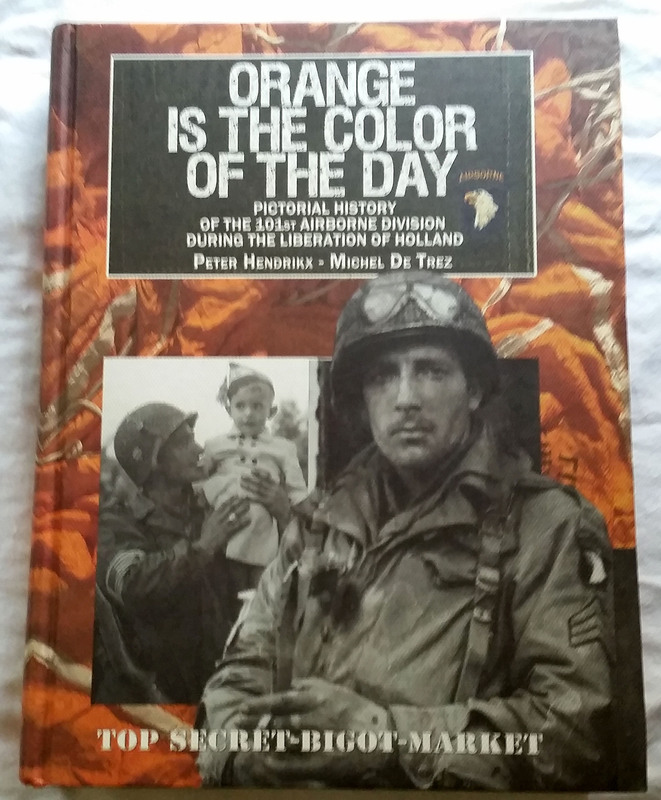 You’ll find an article in there about my WWII research books also! I am taking new clients at this time if you are interested in working with a researcher to pull records for any military branch. I’m also scheduling speaking appearances in Europe for 2017. Please contact me if your group is interested in a program. I have seven to choose from on my website. Many people seek unit level reports, preferably online rather than in archives, and many World War II reunion groups are digitizing these types o f materials. 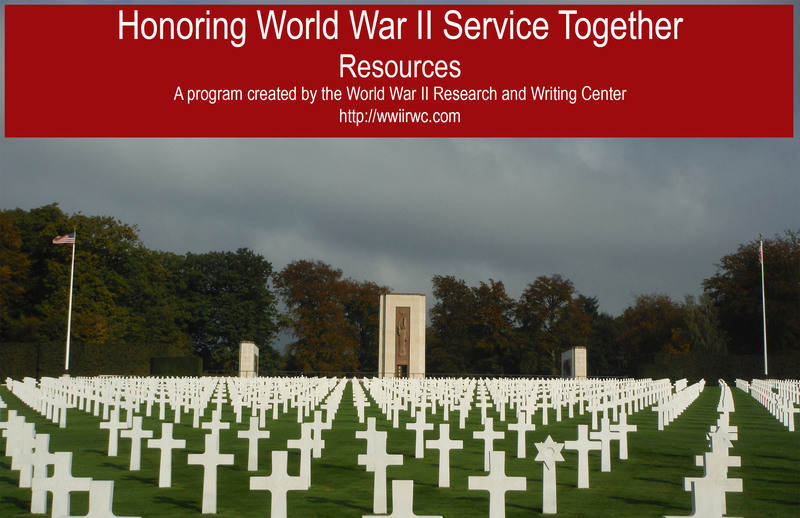 Did you know that military museums are also digitizing materials like this for researchers? The Texas Military Forces Museum has digitized several reports for the 36th Infantry Division. The museum is working toward digitizing more materials so check back regularly to see if they have any other information you can use. Do you know of other museums digitizing unit level records? Please share with us in the comments. 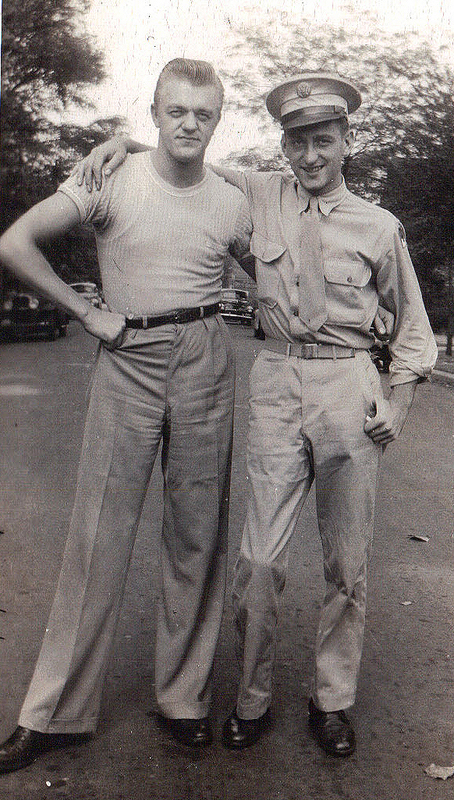 Newspapers are an incredible resource to find photographs and information about WWII soldiers, sailors, and Marines. When I was at the FGS Conference two weeks ago, I spoke to Dennis Northcott, the Associate Archivist for Reference at the Missouri History Museum Library and Research Center. He told me a little about the WWII holdings at the Library and Research Center. I plan to visit the Museum and Library later this year and provide more information on the holdings. For those looking for photographs of St. Louis, Missouri soldiers, sailors, and Marines, you might explore the following collections. Scrapbook contains newspaper clippings regarding World War II casualties clipped from several St. Louis newspapers, primarily the St. Louis Post-Dispatch and the St. Louis Globe-Democrat. Many articles describe the circumstances in which the soldier was killed, wounded, captured, or reported missing. Names of relatives of military personnel that are mentioned in the articles have also been indexed (perhaps more than half of the names indexed are not soldiers). Some articles are accompanied by a photograph of the soldier or sailor. The scrapbook includes some articles regarding soldiers killed or injured in the U.S. while not on duty, and articles regarding nurses, missionaries, and civilians who were captured or killed. Want to know more? Check out the 742 page Guide to the Archival Collections. Do you know of another repository that has a great newspaper collection? Please share the information in the comments. James Privoznik in unidentified location. Last week at the Federation of Genealogical Societies Conference, I met Maureen Taylor, The Photo Detective. If you are involved in the American genealogy community, you know who she is. If you are a WWII researcher in Europe, then you probably have no idea who she is. But you should! Maureen has incredible skills identifying photographs. Please visit her website and see what grabs you. I’m sure you’ll learn a lot. Maureen shared with me two of her WWII posts, in which she asks for help identifying a couple of women. You can read them both here. I’m hoping some of the people who read my website and focus on WWII, can help her. Who Are These Women? An Update. Reading her posts today inspired me to write this post and explain how I identified and told the story of an album full of unidentified WWII (?) photographs. 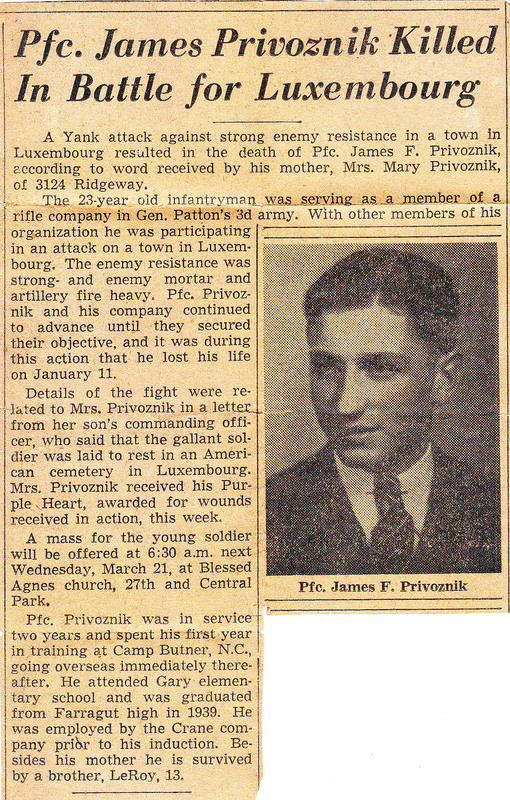 If you have heard my “Stories of the Lost” program, I explain how I was giving a big bag of stuff when I was researching my cousin James Privoznik’s WWII service. In that bag was a photo album of seemingly WWII-era photos, all unidentified. The photos in this article are all from that album. How did I do this? How did I identify the photos and tell James’ story? The photos look like James is in some sort of an Army uniform. In some photos he is on KP duty, peeling potatoes. In others, he’s doing work. The buildings do not necessarily look like barracks used during the war, but there is uniformity which made me believe he was somewhere in an Army-created environment. 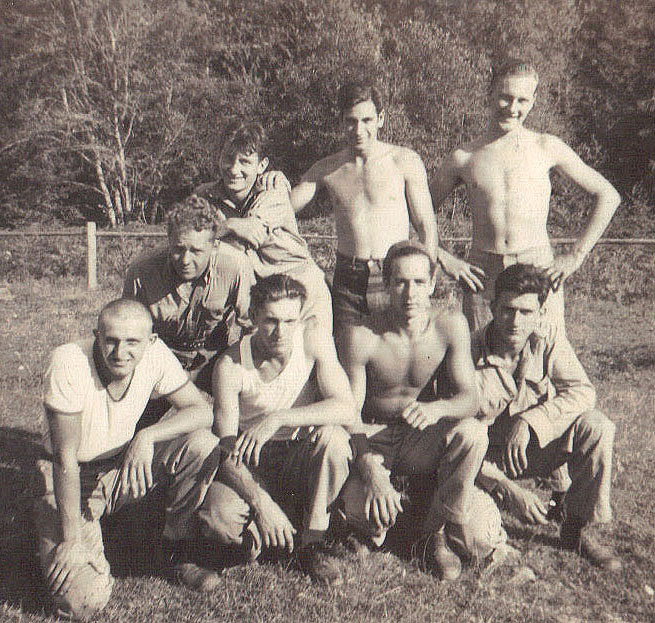 I knew James had trained at Camp Butner, NC because I had a longyard photo of his unit. Christmas Eve 2013, I discovered Camp Butner had created the Camp Butner Society. I contacted the Society to ask if someone would look at some of the photos and tell me if they were taken at Camp Butner. The answer was, No. The photos were not taken there. 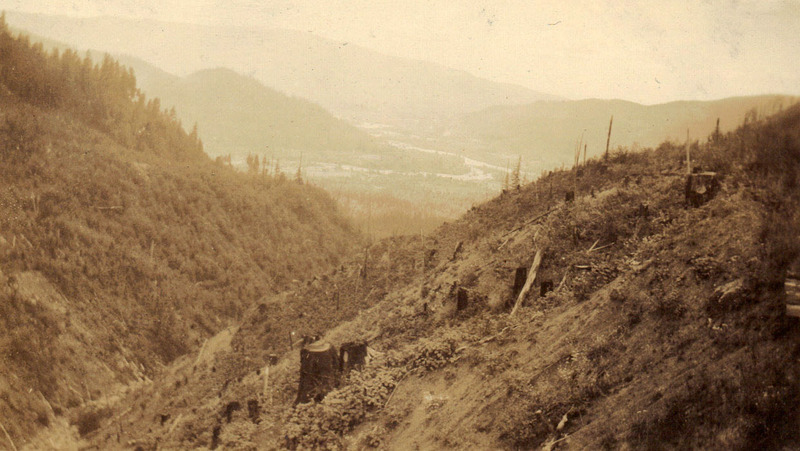 The environment was too mountainous. I contacted my colleague Paul Grasmehr at the Pritzker Military Museum and Library in Chicago, where I visit often, to research. Paul knows everything and everyone it seems. He is almost always able to give me an answer to any question I ask. Paul told me it looked like a Civilian Conservation Corps Camp. 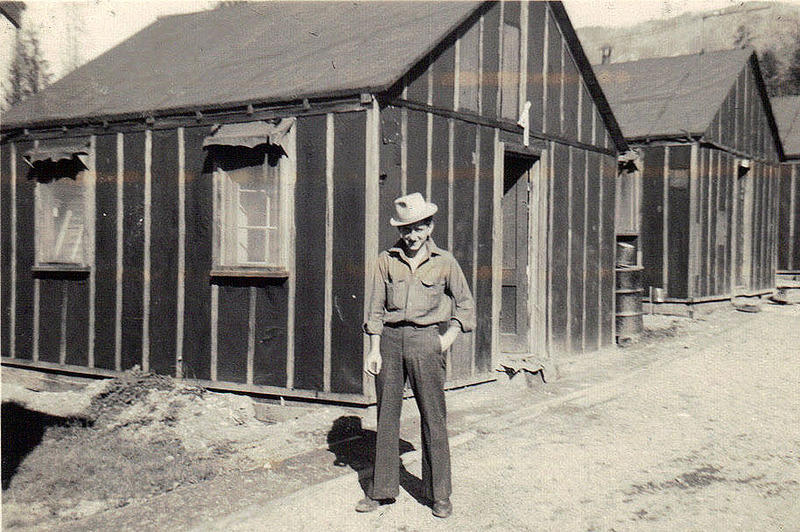 The Army used these camps after the CCC shut down its program, to train soldiers during the war. He said he’d pull a book for me on my next visit. So in January 2014, I sat in the library looking at all these photos from James’ album, plus the CCC book, and the CCC website. I went back and forth trying to make sense of what I was seeing. Thankfully James was helping me out because he pushed me to take another look at his Army photo in uniform. James looks younger in the unidentified photos than he does in his Army uniform photo. So what does that possibly mean? 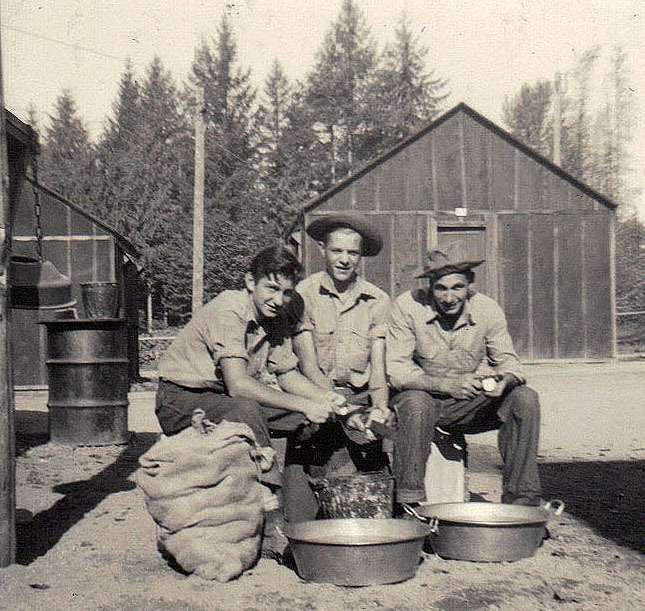 James wasn’t training at a CCC Camp during WWII – he worked for the CCC prior to the war! Well, I got very excited and ran to find Paul and Teri, both staff members at the library and tell them what I thought! It was possible! And those records for the CCC are at the National Personnel Records Center in St. Louis! I called my researcher on-site there and asked him to put in a request. They are supposed to search those records by Social Security Number and Name. I gave all that information plus more and off we went. A month later, my researcher told me there were no CCC records for James. Ummmmm what? No. I was not wrong about this. I knew without a doubt there were records. So I asked him to spell James’ last name PRIVOZNIK rather than PROVOZNIK and search again. Within two hours I had 12 pages of CCC records placing James in their employment the end of 1939 in Washington State! The moral of the story…….NEVER give up on trying to identify your photos. There is someone somewhere who knows the answer. For all the WWII researchers and European grave adopters who come across photos through various avenues, please don’t give up when you find photos that are not labeled. Post them on your website or blog, share them on Facebook and LinkedIn, or Instagram or other social media sharing ways. Someone has an answer for you. It might take a while, but you’ll usually get one. Have you had success identifying unidentified WWII photos? Please share with us in the comments. *Added 15 Oct 2018: Digitized CCC Newspapers Courtesy of the Commonwealth of Virginia. Also, CCC camp papers through the Center for Research Libraries in Chicago. Research on CCC Camp or Enrollees.